News | Operation AX slices onward! 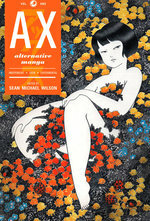 The praise continues to roll in for our upcoming book Ax (vol 1): A Collection of Alternative Manga! 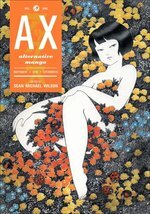 Deb Aoki, the official manga guide over at About.com, got an early look and declares: "Ax goes out on a limb where most manga creators dare not go, with an undeniable energy that crackles from almost every page... it will blow your mind." Meanwhile David Brothers at Comics Alliance has just posted his thoughts, emphasizing the vast diversity on display in the book: "Within Ax's four hundred pages are over thirty stories that explode everything you might have thought about what manga is." Ax is currently available for pre-order below or in your local comic shop, for a July release. Don't miss it!